It’s there for the taking! An update to Angry Birds Rio should be sitting there in the Amazon Appstore, waiting for your pretty little thumbs to tap on and install it. As you can see from my screenshot though, you’ll need to have dominated the first two episodes in order to play this new beach goodness. 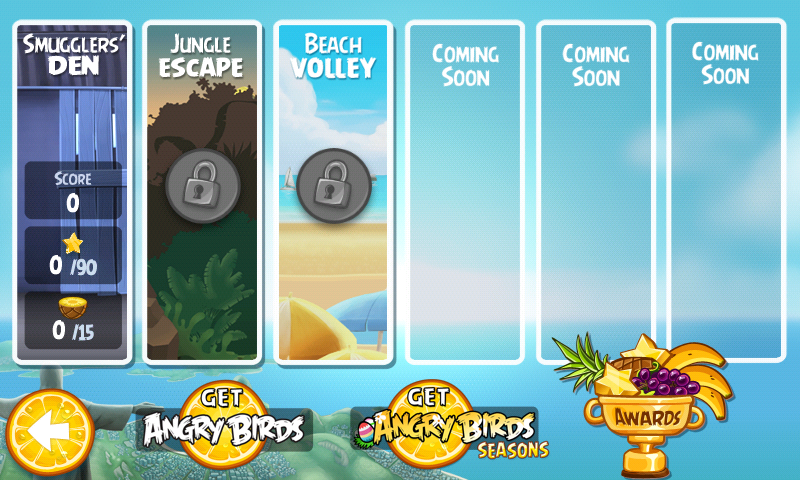 To the Angry Birds pros that are already there, please let us know how much fun it is. Cheers reynoldov and everyone on Twitter!